MORE BANG FOR YOUR BUCK!!! Lovely Ivory Pearl 2014 Nissan Xtrail ST 4WD could be all yours. One of, if not the best, best selling SUV on the market at the moment. Loads of room for the weekend activities, whether it's kids, dogs or sports, this has got you covered. Easy to navigate on the road or at the shops with all the safety tech. Come take it for a spin today, don't miss out. ENQUIRE NOW! The Nissan X-Trail is a crowd favorite and a name synonymous with SUVs. 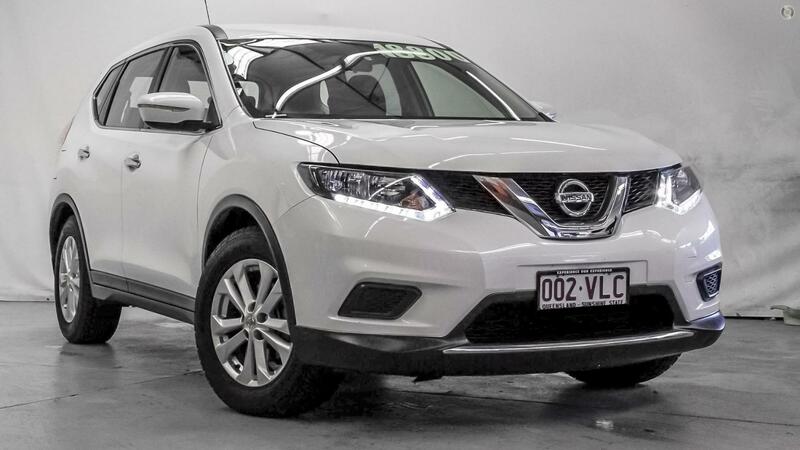 The Nissan X-Trail is arguably one of the most recognizable badges in Australia. And, although its look and purpose has changed over time, it continues to offer versatility in the medium SUV segment, with size and a solid reputation on its side. Only seven-seat options are front-wheel-drive petrol models, with no all-wheel drive or diesel models available with seven seats. Road and wind noise at highway speeds are good and the ride remains compliant over bumpy sections of country road. It's quite a pleasant car to drive. If you are within 100km's and cant make it into us we will come to you! Please ask our friendly consultants on how we can help get your new car to you. Make sure you ask about our competitive finance packages and our unbeatable trade-in prices. We are part of a family owned and operated business that continues to grow and support the local community. We have a very exciting range of vehicles right now with varying models exceeding expectations and presenting excellent value to our customers. So, come in and see the friendly team of Kodi, Jim, & Luke today.